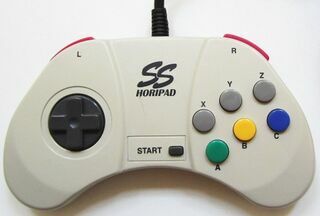 The Horipad SS is a third-party controller for the Sega Saturn released by Hori in Japan. It is a simple replacement controller with no major additions over the official control pad. Both white and transparent ("clear") versions exist.